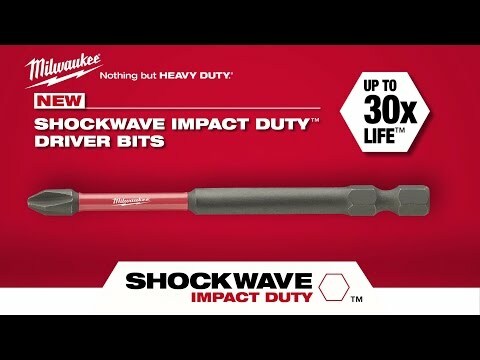 Milwaukee Tool Shockwave™ 32-Piece Driver bit set includes SHOCKWAVE™ magnetic bit holder, 5/16-Inch magnetic nut driver, 1-Inch hex bit, 1/4-Inch hex bit, 1-Inch hex bit, 3/16-Inch hex bit, 1-Inch P1 Phillips bit, four 1-Inch P2 Phillips bits, 1-Inch P3 Phillips bit, two 2-Inch P2 Phillips bits and Phillips reduced 1-Inch PR2 bit. 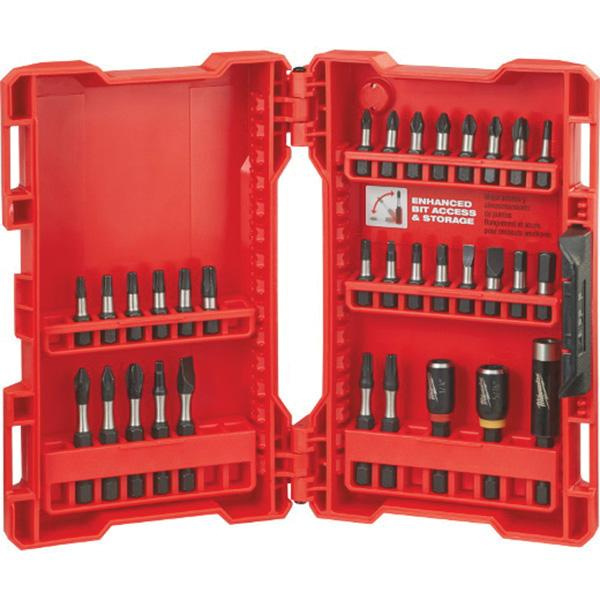 It contains 1-Inch #10 bit, 1-Inch #8 bit, 2-Inch #10 slotted bit, 1-Inch SQ1 square bit, three 1-Inch SQ2 square bits, 1-Inch SQ3 square bit, 2-Inch SQ2 square bit, 1-Inch T15 bit, two 1-Inch T20 bits, two 1-Inch T25 bits, 1-Inch T30 bit, 2-Inch T20 bit, 2-Inch T25 TORX® bit and 1/4-Inch magnetic nut driver. Geometric design of driver gives the shock absorption. Proprietary heat treated steel construction of driver bit, ensures maximum strength and durability.